† China’s maritime militia, a quasi-military force of fishermen that are tasked by and report to the PLA, has a key role in China’s South China Sea strategy. They are trained to participate in a variety of missions, including search and rescue, reconnaissance, deception operations, law enforcement, and “rights protection,” which often entails activities like harassing foreign vessels in China’s claimed waters. U.S. Department of Defense, Annual Report to Congress: Military and Security Developments Involving the People’s Republic of China 2017, May 15, 2017, 56; U.S.-China Economic and Security Review Commission, 2016 Annual Report to Congress, November 2016, 197; Andrew Erickson and Conor M. Kennedy, “China’s Fishing Militia Is a Military Force in All but Name,” War Is Boring, July 9, 2016. U.S. Department of Defense, Annual Report to Congress: Military and Security Developments Involving the People’s Republic of China 2016, April 26, 2016, 7. Lyle J. Morris, “The New ‘Normal’ in the East China Sea,” Diplomat, February 24, 2017; Andrew S. Erickson and Conor M. Kennedy, “Countering China’s Third Sea Force: Unmask Maritime Militia before They’re Used Again,” National Interest, July 6, 2016; Alexander Chieh-cheng Huang, “The PLA and Near Seas Maritime Sovereignty Disputes,” in Andrew Scobell et al., eds., The People’s Liberation Army and Contingency Planning in China, National Defense University Press, 2015, 290–291. *In addition to the likelihood that land reclamation activity at Scarborough Reef would in- crease tensions between China and the Philippines, Andrew S. Erickson, a professor of strategy at the U.S. Naval War College, in his testimony to the Commission stated, “It’s important to ensure that Scarborough [Reef] is not dredged and developed into a key targeting node for China in the South China Sea, where it would, in effect, be the last big piece in the coverage puzzle.” U.S.-China Economic and Security Review Commission, Hearing on China’s Advanced Weapons, oral testimony of Andrew S. Erickson, February 23, 2017. *China has the world’s largest maritime militia, a quasi-military force of fishermen that are tasked by and report to the PLA. They are trained to participate in a variety of missions, in- cluding search and rescue, reconnaissance, deception operations, law enforcement, and “rights protection,” which often entails activities like harassing foreign vessels in China’s claimed waters. Andrew Erickson and Conor M. Kennedy, “China’s Fishing Militia Is a Military Force in All but Name,” War Is Boring, July 9, 2016. †Taiwan’s coast guard is in the midst of a ten-year shipbuilding program that will bring its forces to 173 ships. Taiwan does not have a maritime militia. Mrityunjoy Mazumdar, “Taiwanese Coast Guard Launches OPV amid Ongoing Force Development Programme,” Jane’s Defense Weekly, May 28, 2015. Maneuverable reentry vehicles and hypersonic weapons: U.S.-China Economic and Security Review Commission, Hearing on China’s Advanced Weapons, written testimony of Andrew S. Erickson, February 23, 2017; U.S.-China Economic and Security Review Commission, Hearing on China’s Advanced Weapons, written testimony of Mark Stokes, February 23, 2017; high energy lasers: U.S.-China Economic and Security Review Commission, Hearing on China’s Advanced Weapons, written testimony of Timothy Grayson, February 23, 2017; high-powered microwave weapons: U.S.-China Economic and Security Review Commission, Hearing on China’s Advanced Weapons, written testimony of Richard D. Fisher, Jr., February 23, 2017; electromagnetic railguns: Jeffrey Lin and P.W. Singer, “An Electromagnetic Arms Race Has Begun: China Is Making Railguns Too,” Popular Science, November 23, 2015; counterspace weapons became more relevant following the 1991 Gulf War: U.S.-China Economic and Security Review Commission, Hearing on China’s Advanced Weapons, written testimony of Todd Harrison, February 23, 2017; U.S.-China Economic and Security Review Commission, Hearing on China’s Advanced Weapons, oral testimony of Kevin Pollpeter, February 23, 2017. 8. Andrew S. Erickson, “Showtime: China Reveals Two ‘Carrier-Killer’ Missiles,” National Interest, September 3, 2015; David Lai and Marc Miller, “Introduction,” in Roy Kamphausen, David Lai, and Andrew Scobell, eds., Beyond the Strait: PLA Missions Other Than Taiwan, Strategic Studies Institute, 2009, 9–10; David Shambaugh, Modernizing China’s Military: Progress, Problems, and Prospects, University of California Press, 2002, 4–5; Harry J. Kazianis, “America’s Air-Sea Battle Concept: An Attempt to Weaken China’s A2/AD Strategy,” China Policy Institute, 2014, 2. 10. U.S.-China Economic and Security Review Commission, Hearing on China’s Advanced Weapons, written testimony of Andrew S. Erickson, February 23, 2017. Andrew S. Erickson, “Raining Down: Assessing the Emergent ASBM Threat,” Jane’s Navy International, March 16, 2016. Although information regarding China’s advanced weapons programs is not always readily available in the public domain, numerous open source writings, government statements, and testing and deployment activities indicate Beijing has undertaken vigorous efforts in these areas. 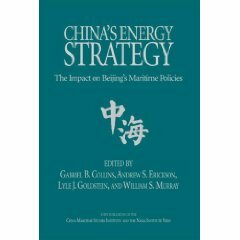 The following pages define each weapons type, summarize China’s activities and objectives in each area, and evaluate their current status in relation to comparable U.S. programs. Definition. A maneuverable reentry vehicle (MaRV) is a ballistic missile reentry vehicle that is capable of maneuvering after reentering Earth’s atmosphere, in contrast to a standard reentry vehicle, which continues on its trajectory without any course correction capability.20 MaRVs can be more difficult to intercept and therefore better able to penetrate adversary missile defenses.21 They also offer greater potential than standard reentry vehicles for striking moving targets, if configured to do so. Wang Changqin and Fang Guangming “PRC Military Sciences Academy Explains Need for Developing the DF–26 Anti-Ship Missile,” China Youth Daily, November 30, 2015. Translation; Andrew S. Erickson, “Showtime: China Reveals Two ‘Carrier-Killer’ Missiles,” National Interest, September 3, 2015; Wendell Minnick, “China’s Parade Puts U.S. Navy on Notice,” Defense News, September 3, 2015; Charles Clover, “China Unveils ‘Guam Express’ Advanced Anti-Ship Missile,” Financial Times, September 5, 2015; Franz-Stefan Gady, “Revealed: China for the First Time Publicly Displays ‘Guam Killer’ Missile,” National Interest, August 31, 2015. U.S.-China Economic and Security Review Commission, Hearing on China’s Advanced Weapons, written testimony of Andrew S. Erickson, February 23, 2017. U.S.-China Economic and Security Review Commission, Hearing on China’s Advanced Weapons, written testimony of Andrew S. Erickson, February 23, 2017; James M. Acton, “Silver Bullet? Asking the Right Questions About Conventional Prompt Global Strike,” Carnegie Endowment for International Peace, 2013, 100. 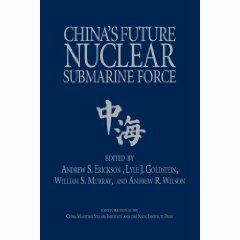 U.S.-China Economic and Security Review Commission, Hearing on China’s Advanced Weapons, written testimony of Andrew S. Erickson, February 23, 2017; Andrew S. Erickson, “Raining Down: Assessing the Emergent ASBM Threat,” Jane’s Navy International, March 16, 2016. John Costello, “The Strategic Support Force: Update and Overview,” China Brief, December 21, 2016. Peter Mattis, “China Reorients Strategic Military Intelligence,” IHS Jane’s, 2017, 3–4; Lincoln Davidson, “China’s Strategic Support Force: The New Home of the PLA’s Cyber Operations,” Council on Foreign Relations, January 20, 2016. U.S.-China Economic and Security Review Commission, Hearing on China’s Offensive Missile Forces, written testimony of Dennis M. Gormley, April 1, 2015. James Acton, Co-Director, Nuclear Policy Program, Carnegie Endowment for International Peace, interview with Commission staff, June 17, 2017. U.S.-China Economic and Security Review Commission, Hearing on China’s Advanced Weapons, written testimony of Andrew S. Erickson, February 23, 2017; People’s Network, “Dong Feng 21D Troop Review Gives PLA Navy an Asymmetric ‘Assassin’s Mace,’” September 9, 2015. Jonathan Ray et al., “China’s Industrial and Military Robotics Development,” Defense Group, Inc. Center for Intelligence Research and Analysis (prepared for the U.S.-China Economic and Security Review Commission), October 2016, 68. 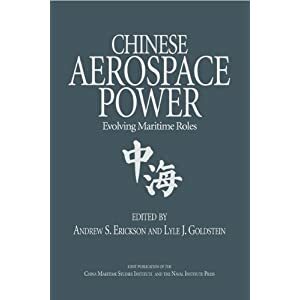 Andrew S. Erickson, Chinese Anti-Ship Ballistic Missile (ASBM) Development: Drivers, Trajectories, and Strategic Implications, Jamestown Foundation, May 2013, 119. 248. U.S.-China Economic and Security Review Commission, Hearing on China’s Advanced Weapons, written testimony of Andrew S. Erickson, February 23, 2017. White House Office of the Press Secretary, Fact Sheet: Advancing the Rebalance to Asia and the Pacific, November 15, 2015; Andrew S. Erickson and Justin D. Mikolay, “Guam and American Security in the Pacific,” in Andrew S. Erickson and Carnes Lord, eds., Rebalancing U.S. Forces: Basing and Forward Presence in the Asia-Pacific, Naval Institute Press, 2014, 17, 25; Andrew J. Nathan and Andrew Scobell, China’s Search for Security, Columbia University Press, 2012, 357. Andrew S. Erickson and Conor M. Kennedy, “China’s Fishing Militia Is a Military Force in All but Name,” War Is Boring (Blog), 9 July 2016. Reprint of Andrew S. Erickson and Conor M. Kennedy, “Countering China’s Third Sea Force: Unmask Maritime Militia before They’re Used Again,” The National Interest, 6 July 2016. Andrew S. Erickson, “Chinese Anti-Ship Ballistic Missile Development and Counter-intervention Efforts,” testimony at Hearing on China’s Advanced Weapons held by U.S.-China Economic and Security Review Commission, Dirksen Senate Office Building, Washington, DC, 23 February 2017. 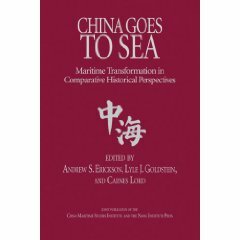 Andrew S. Erickson and Lyle J. Goldstein, [Xu Qi], “21世纪初海上地缘战略与中国海军的发展” [Maritime Geostrategy and the Development of the Chinese Navy in the Early 21st Century], 中国军事科学 [China Military Science] 17.4 (2004): 75-81, Naval War College Review 59.4 (Autumn 2006): 46-67. Timothy Heath and Andrew S. Erickson, “China’s Turn Toward Regional Restructuring, Counter-Intervention: A Review of Authoritative Sources,” Jamestown China Brief 15.22 (16 November 2015): 3-8. Andrew S. Erickson and Michael Monti, “Trouble Ahead? Chinese-Korean Disputes May Intensify,” The National Interest, 20 February 2015.